Day Seven, Reality of the warmth that surrounds us! When you realise you have only hours left in Karbala intead of days. The time seems so much more precious than in the days before. Only a few hours left with my Imam Hussain (as), and his beloved and brave and noble brother Abulfazl Abbas (as). It takes many years, even decades to realise how magnificent these personalities are, and what they really stood for and how their actions and decisions and their strength have made a difference to the history of the world. But you also realise another thing. You realise that when you are crying for these most beautiful personalities, you will never always be with them. You will always be distant either in physical form or even in spirit. So when you perform the prostration in front of the shrine and you cry, because you can’t believe you are near them and you can’t believe they permit you to visit them, a greater reality descends upon you, like warmth of the sun shine that warms the sea and the land. You realise that there is One Who you love even more than the beloved Ahlul Bayt, there is One Who is closer to you than the Ahlul Bayt. You realise that there is One Who will never leave you even if you leave Him, he will never let go of your hand even if you let go of His. One Who holds you when you fall, One Who is with you when you are sad and One Who causes your happiness. One Who cures you when you are ill, One Who thinks of you when you aren’t thinking of Him. One who is closer to you than you are to yourself, One Who knows you better than you know yourself. Then the second reality hits you when you are in prostration, that this One that I am so close to, that I take for granted all my life. That He is a creator and Absolute Majesty and Glory of everything in existence. He is the One Who created the Imams I love so much. He is the One Who gave them the respect they deserve, He is the One Who permits me to see them and permits me to feel what I feel. It is by His permission that the love of Ahlul Bayt flows in my veins and in my heart. 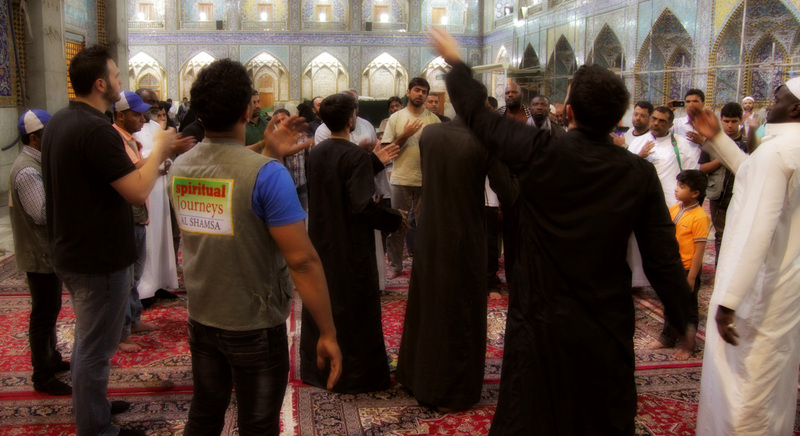 It is by His permission that I can express myself to the Ahlul Bayt, and to the rest of the world. So why have I not been thinking of this One Who is always with me. Why have I not really understood his Greatness, and His complete love. Why have I turned my face away from the truth and reality, that all that exist is from Him, and all that I feel is by His permission. When you close your mind’s eye and look at the world, and see how small it is in comparison to the rest of the universe and existence. You realise, I am now talking to the One Who created things that I will never even see, He is so great that even the most noble and beloved of creation, Mohammad Al-Mustafa (s) can never comprehend Him. Those tears that flow, are of true value, they express the feeling, that ‘O’ Allah, O’ Lord of creation, I am humbled by Who I am talking to during these Salats’. Now I realise why Salat can never be broken, for who wishes to break such a beautiful dialogue with You. We wait for years to meet someone important in this world, and yet we have access to you through Salat at any time we wish! You Who has created all the kings, and queens, You Who has created all the power and strength that others have. And without your permission they will be nothing. So next time I say ‘come to the best of deeds’, and I say ‘Allah is Great’ and I lower my hand, let me remember who I am talking to and Who I am having the most beautiful conversation with. The rest in this world seems petty and not important, the gossips, the efforts for worldly materials, worldly desires, when compared to the knowledge of You and the love of You, I will throw it all away, even for a second of knowing Your Greatness and Majesty. Coming to visit the grandson of Prophet Mohammad (s) and his brother makes us realise, that the One Who we need. The One Who can fulfil all our spiritual and worldly needs is He, Who is always with us. Wherever we are and whatever we do, we must think of Him first and He will assist us. 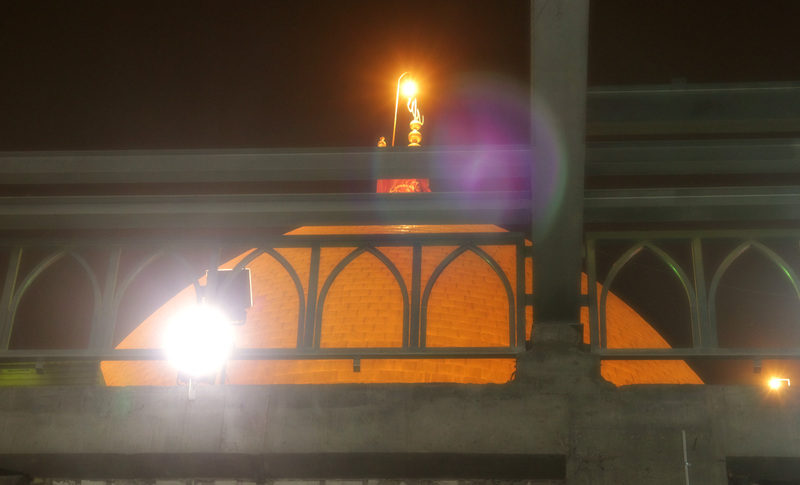 Those few moments left with Abulfazl Abbas (as) in his beautiful shrine, beating our chests, and crying Ya Hussain! Ya Hussain! on the occasion of the passing of Lady Fatemeh Zahra (sa), seem like a dream. But in some ways, they are also a reality, because through those moments, we reached an understanding and truth that can never reached within a dream. 5 Responses to Day Seven, Reality of the warmth that surrounds us! I couldn’t have put it better myself! This is a very heartfelt piece of writing- excellent work! Very deep understanding & beautiful perspective about the Ziyarat of holy personalities. Amazing connection of concepts & thoughts, Never thought about it this way. salam aleykoum. First of all, sorry for my bad english as I am french. I would like to thank you brother for that beautiful job! I travelled with you a little & it made me cry many times; as soon as I look at the pictures… Inshallah, for the next ziyarat I’ll be with the group. May Allah assist as all in getting closer to Ahlul bayt, keep us in our duas.